I was really bowled away by Juno. What a great film! The story of a teenage girl named Juno MacGuff (Ellen Page) who gets pregnant and decides to carry the baby and give it up for adoption to a needy couple, this movie really delivers great comedy and great drama. Page is so natural and relaxed in her performance that she is completely believable and she literally carries the movie. The Academy Award-winning script by Diablo Cody is a wonder. The dialogue is quick, witty, full of pithy phrases that separate Juno and her friends from the run-of-the-mill teenagers at her high school (“Desperately seeking spawn” LOL). Directed by Jason Reitman, it hits every note spot-on and leaves you with just an amazingly good feeling. It’s full of wonderful supporting performances, including: Michael Cera as Paulie Bleeker, Juno’s dorky boyfriend and father of the child, J. K. Simmons (the wonderful pitchman at Farmer’s Insurance University) as her dad, Allison Janney as her step-mother, Jason Bateman and Jennifer Garner as the anticipated foster parents. 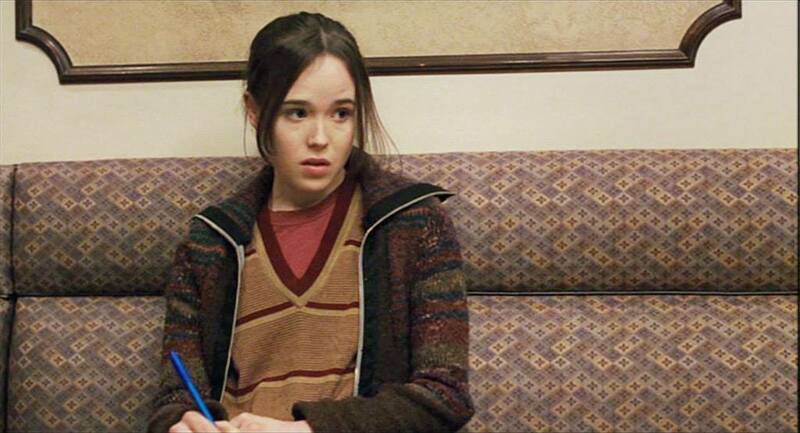 They all work together brilliantly in an ensemble cast all clustered around the wonderful performance by Ellen Page at the center and heart of the movie. So GOOD! I highly recommend this film to literally EVERYBODY!